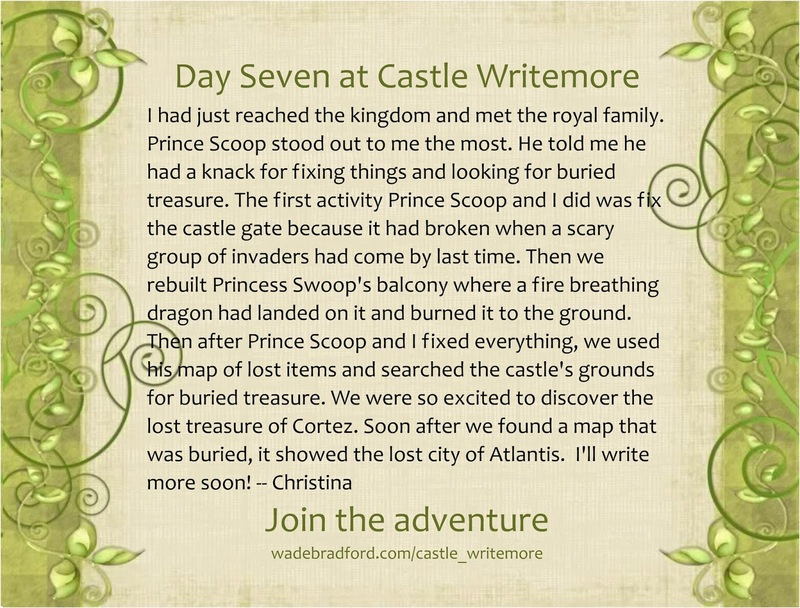 Castle Writemore: Our First Postcard from Castle Writemore! Our First Postcard from Castle Writemore! One of our first guests at Castle Writemore sent us a postcard! Her name is Christina and she just finished writing about Day #7. In her journal, she is asked to write about spending the day with one of the members of the royal family. She choose to hang out with prince Scoop. Sounds like they had fun! Want a postcard made of your adventures at Castle Writemore?